From the star-studded streets of Malibu to the countless “green juice” vendors in Venice, Los Angeles is the epitome of California. The beautiful weather, palm-lined boulevards, and celebrity sighting will have you California Dreamin’ in no time. It’s no surprise that many well-known movies and television series are set in this gorgeous city. Take the HBO show, Entourage, for example. The suddenly risen star Vince Chase learns the ins and outs of the business and the high-profile world of Hollywood’s affluent folk. Alongside his atypical crew of close childhood friends, they slowly but surely take on the LA lifestyle. 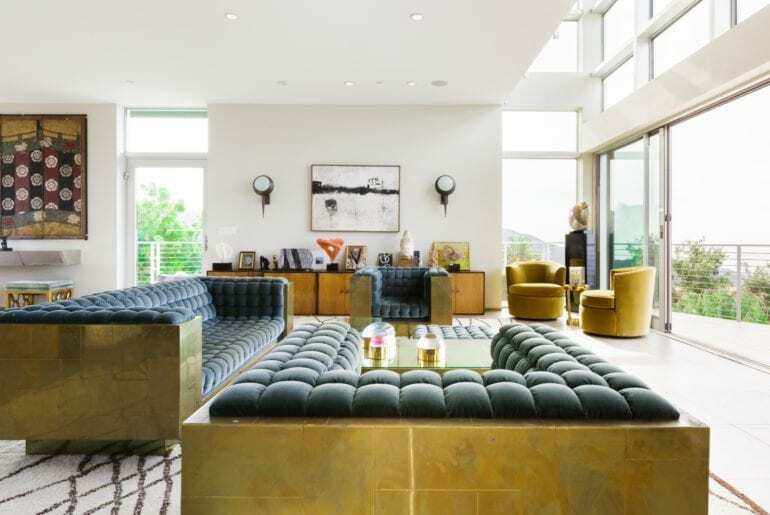 For many of us, these glam-filled lifestyles that account the days of the Hollywood fast lane leaves us desperate to live just even a few moments in the life of the upper class. Luckily, there are ways you can temporarily step into the shoes of your favorite LA hotshot. First things first, channel your inner Entourage crew and blast “Superhero” by Jane’s Addiction. After cruising down Sunset Strip, pull into your home worthy of only the fanciest Hollywood up-and-comer. 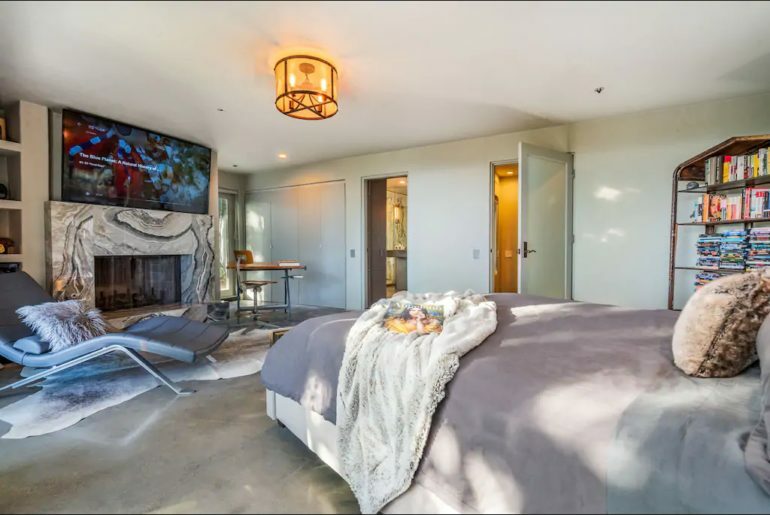 These 9 Airbnb rentals will be sure to you have you feeling like you’re right alongside the cast of Entourage. Helping you live out that lifestyle you’ve always dreamt of. 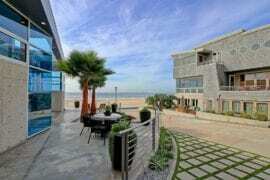 Perfect for Entourage fans, this guesthouse is where the final scene of the series was filmed! 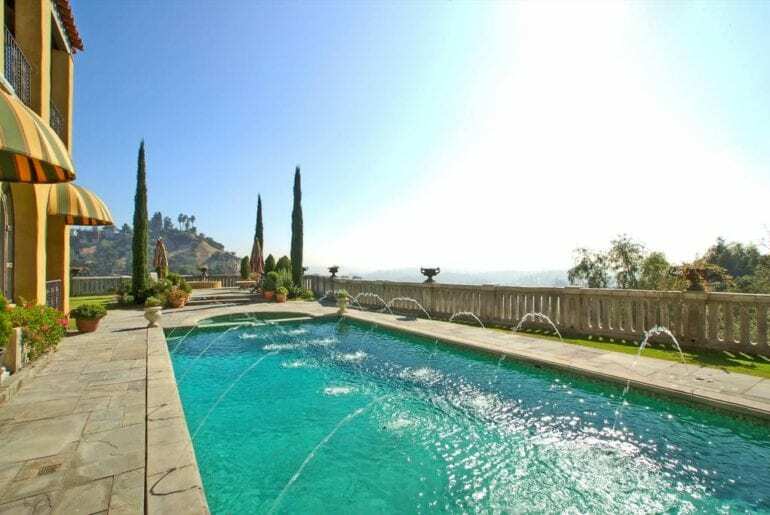 Located near Griffith Park, this villa is on the grounds of a 1927 Mediterranean Estate and overlooks a gorgeous pool and Downtown Los Angeles. This property has a private entrance, and you will receive exclusive use of the yard, pool, and hot tub. There’s a reason Los Angeles Weekly named it “The Best Place to Pretend You’re a Celebrity for a Day.” It has been transporting guests to Italy without leaving Dundee Drive for years, including Ari Gold. 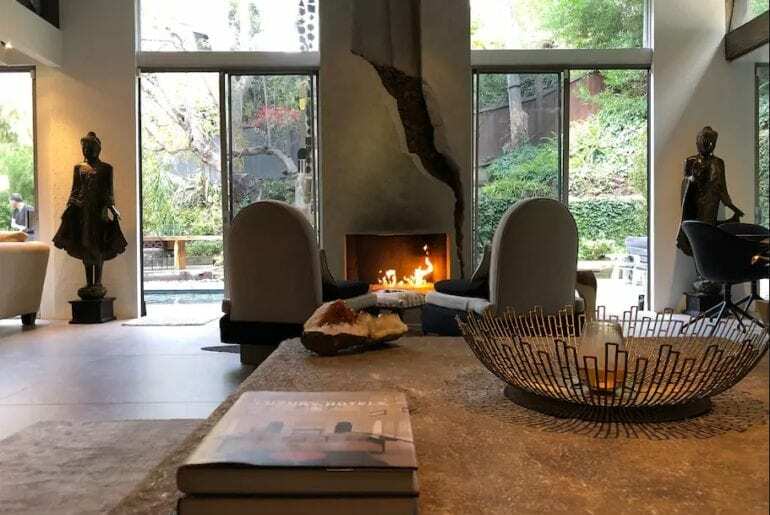 The house which was built in 2003 has a brand new sound system, ten-foot Venetian Plaster walls, a massive fireplace and hand forged iron accents. 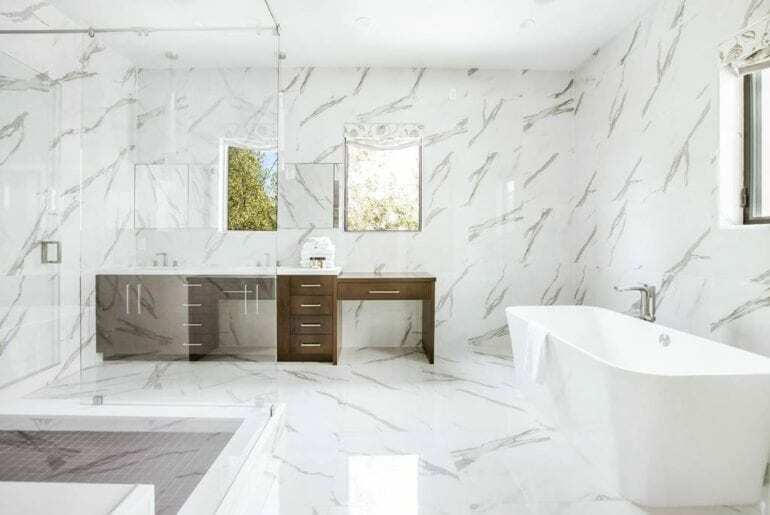 The master bathroom has double sinks and a huge marble shower with a rain shower head. Just four miles away is the estate used as Ari’s House and the mansion used as the backdrop for Vince Chase’s house for several seasons (both on Camino Palmero Street!) Also nearby is Griffith Park, the largest municipal and urban wilderness area in the United States. If you are looking for a more cultured experience, head to the Frank Lloyd Wright Museums, the Hollyhock House and the Lovell House, all in the neighborhood. Sitting over Sunset Boulevard, this newly remodeled home features midcentury architecture and wall to wall glass windows. The eclectic design of this tranquil retreat combines contemporary finds with natural materials to create a one of a kind space. 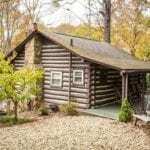 There are top of the line amenities such as central air, Apple TV, and high-speed internet. These finishes are complemented by a collection of fine Asian art and artifacts, a fireplace and a water fountain. 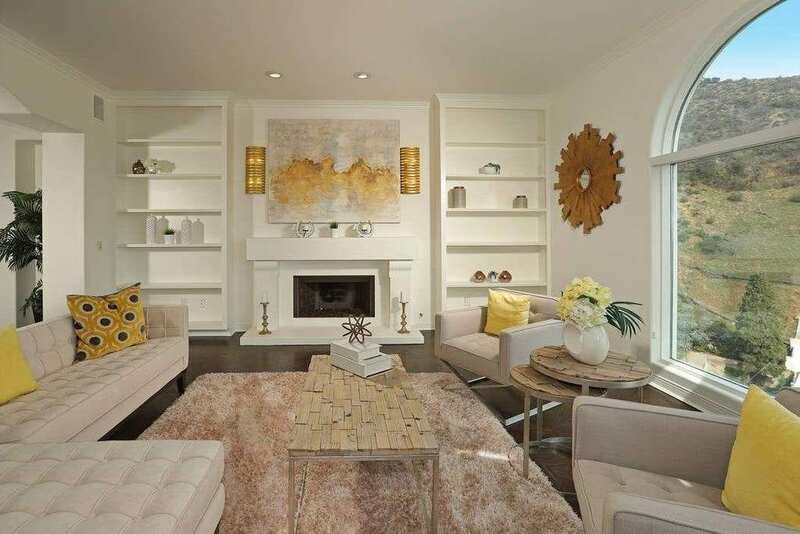 The living room is one part of this open floor plan that has a giant plush sofa with seating for ten. 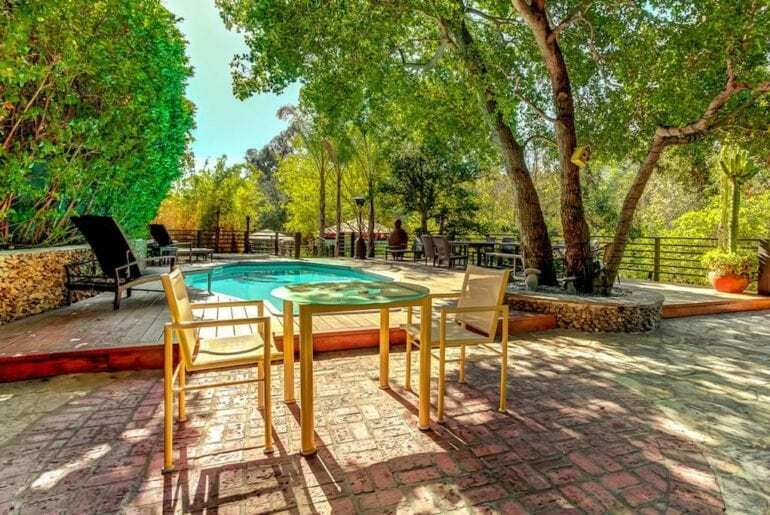 Outdoors there is a manicured Zen garden, a 30-foot heated pool, and a BBQ area with seating. 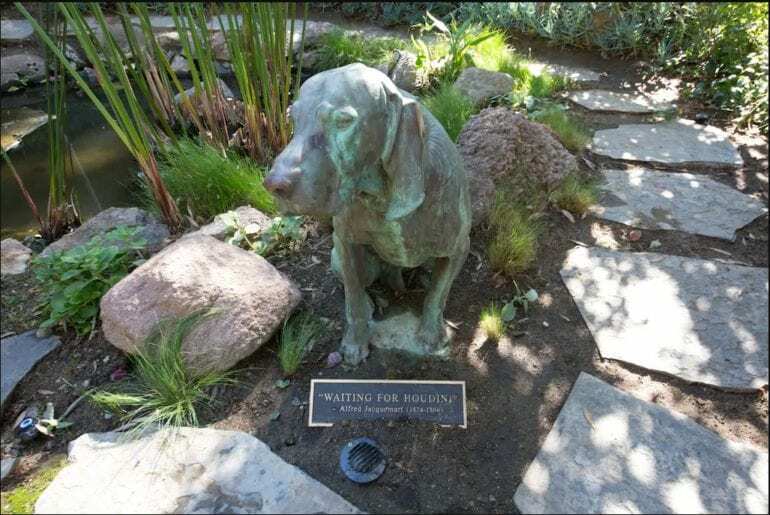 You can relax by the Buddha water fountain that doubles as an outdoor sound system. 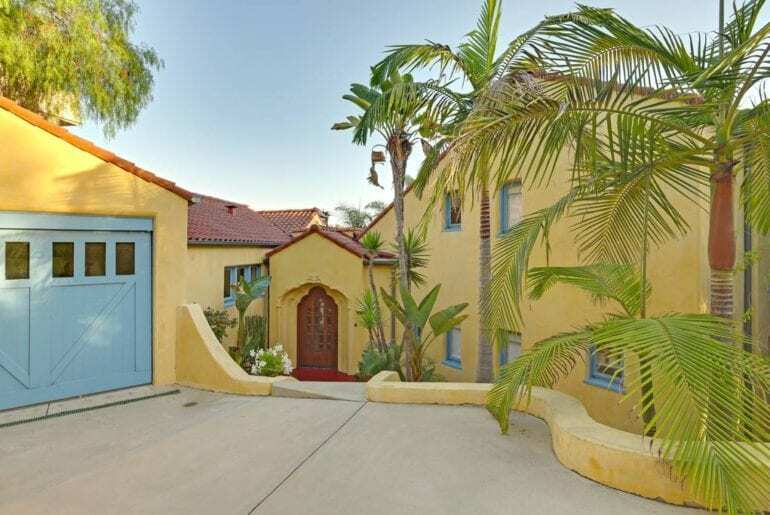 The street which this impressive home is located is the road featured in Entourage’s opening credits! You’ll be close to institutions like The Viper Room, The Roxy, and Whisky A Go Go. This smart home is sandwiched between Beverly Hills and West Hollywood. Neon pop art, shag rugs and fine Italian marble decorate the interior with high ceilings and soaring skylights. The backyard features a heated pool, Jacuzzi and firepit. In the warm afternoons, you can put your favorite tunes on the surround sound system and relax under the stars in the outdoor shower. The home features high-end furniture, appliances, and all of the essentials for any traveler! The wall-mounted iPad allows for control of all the dynamics of the house right from the screen or on if you’re on the go, sync it with your smartphone! Though it may be hard to tear away from all this estate’s amenities, you’re close to so many LA landmarks that are worth a visit! One of the best being Koi, a Japanese spot that makes an appearance in Entourage’s pilot when E and Ari have dinner and talk about Vince’s career. As you pull up to this breathtaking home, the world will fade away as you watch the gate slides closed behind you. 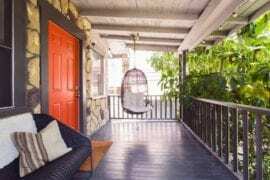 Tucked away in the scenic, quiet hillside neighborhood of Hollywood Knolls, this recently renovated home is an excellent place for those wanting to get away. The intricately detailed front door opens up into a spacious foyer enclosed by archways leading down various pathways. The high ceilings and arched floor-to-ceiling cathedral windows of the living room feel like a classic Hollywood film or a fantasy you’ve once imagined. Step out the french doors and find yourself in the serene backyard with lounging and dining areas along with an inground pool and hot tub that boast views of the skyline sunsets. The kitchen, complete with Sub Zero appliances, combines a farmhouse vibe with elegant appeal. The sink overlooks the front courtyard, allowing you to prepare meals to the soothing trickle of the fountain. With four bedrooms in total, this is an ideal accommodation for groups or families. 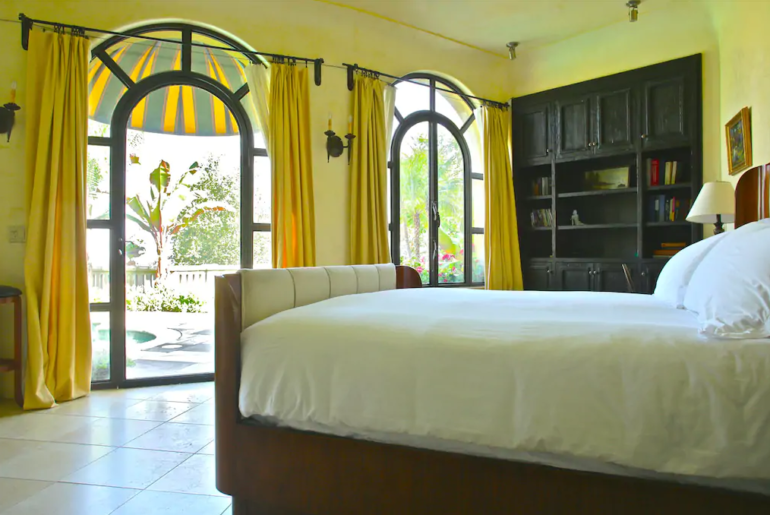 Whoever is lucky enough to score the master bedroom will enjoy the suite that occupies the entire second floor, complete with a full bathroom. While you’re in the area head to Urth Cafe, just around the corner, you may recognize it as the Entourage boys’ favorite hangout spot perfect for people-watching and celebrity-spotting. Malibu is known for its phenomenal real estate and glamorous lifestyles. This dream home is no exception. 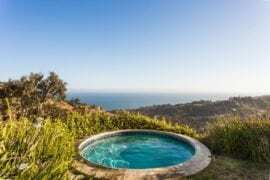 You’ll find this secluded, three-story villa at the end of a three-mile drive up Corral Canyon featuring all glass windows and fantastic ocean and mountain views. 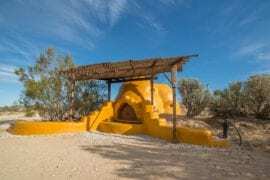 This stunning architectural house was rebuilt after the Coral Canyon fires destroyed the original property in 2007. The interior is astonishing with its amazing interior design and indoor-outdoor feel. When you head inside, grab a book from the floor to ceiling bookshelf and curl up on the Paul Evans Cityscape furniture with tufted silk velvet upholstery. When it’s time for dinner, you can enjoy your meal on the Milo Baughman dining room set. The master suite houses an atrium that retracts, allowing you to feel the refreshing ocean breeze right from your bedroom. You’ll feel as though you’re on top of the world. Down the street, you will find Geoffrey’s, a Malibu hotspot on the Pacific Coast Highway with superior views. This was also the spot where Vince and the crew head to celebrate in the beginning of season 8! This sleek contemporary home is decorated in neutral grays, tans, and browns—the exception, of course, is the bright blue pool in the center of the compound. Cool off in the pool during the hot mornings and watch your favorite movie from the hot tub in the evenings. The living space truly encompasses a unique atmosphere with a sleek fireplace and retractable glass walls. 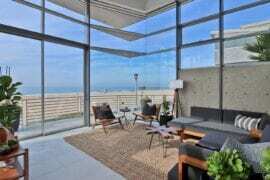 To fully enjoy the wonderful Los Angeles climate, you can open the home up to the luxurious outdoors. Outside, you have a lounge area, built in fireplace, BBQ and a guest suite! When you first approach this tremendous home, you walk down a path of greenery giving way to a massive door, opening to a space flooded with beautiful wood flooring and energizing natural light. 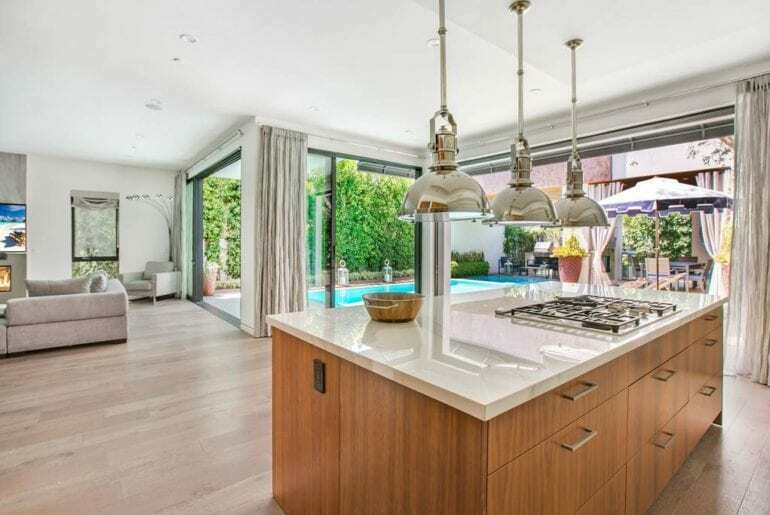 You also have a contemporary style kitchen that sets the tone for a zen-focused backyard. Enjoy the soothing outdoor water fountain, pool, lounge area, and an outdoor shower. If you want to head out for some Entourage-esq exploration, Tropicana Bar at the Hollywood Roosevelt is just five minutes away. This poolside bar has the glitz you’d expect to see at an iconic Hollywood hotel and was featured throughout the beloved HBO series. 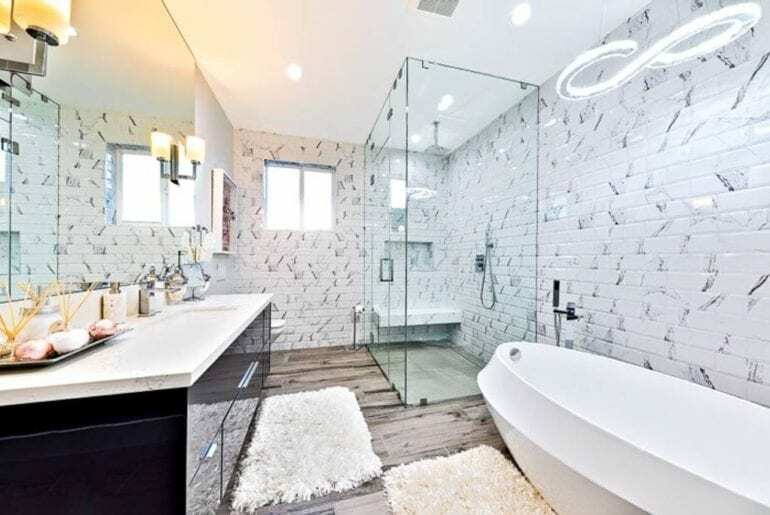 Be amazed by this home overlooking the Sunset Strip and LA Basin. Located within a private, gated cul-de-sac, this quiet home embraces Santorini style living at its finest. 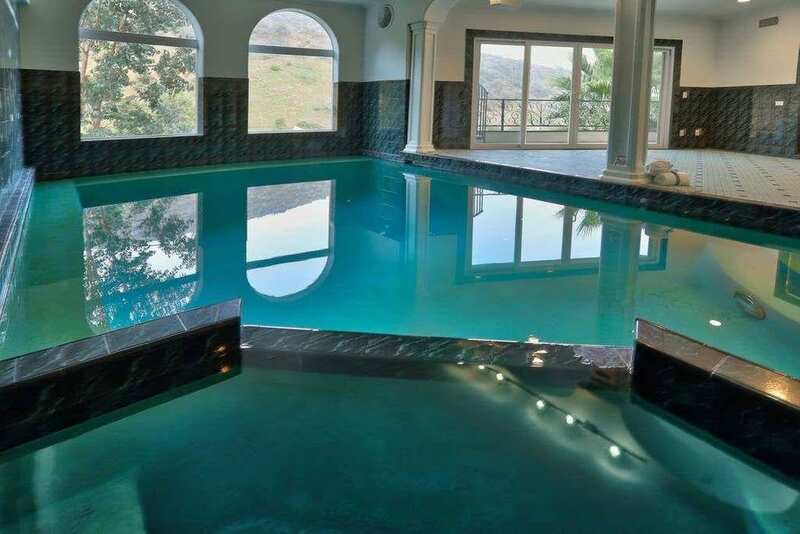 The indoor swimming pool is a rare find, adding to the exquisiteness of this property! There’s a formal entry way with a large dining and living room space. Cozy up to the fireplace and enjoy the fireplace with spectacular views. If you’re wanting to bask in the California sunshine, lounge out on the AstroTurf patio deck. The master bedroom features a walk in closet with a Vegas style bathroom that opens up into the indoor pool and sauna. If you’re looking to disappear, head to this Edwardian estate. 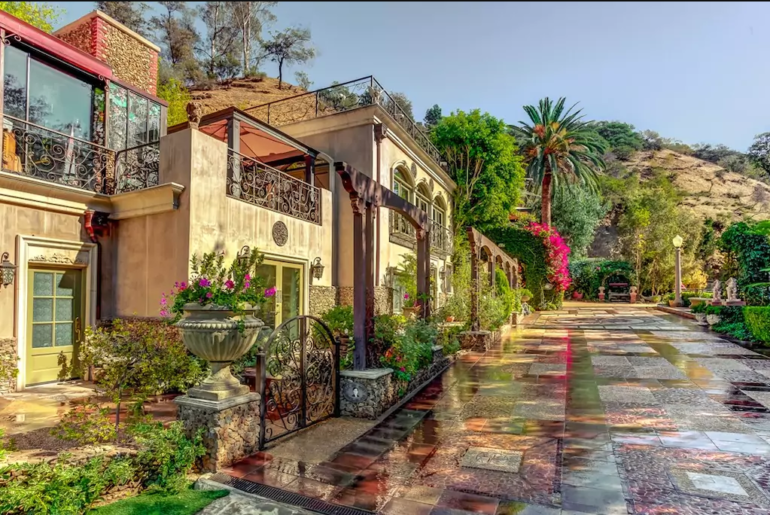 This 5-acre, $10 million hillside villa was the home of the notorious escape artist, Harry Houdini. It was also the home of Houdini’s widow for years after his untimely death in 1926. It was also the location of a party held in honor of over 500 renowned magicians of the time. 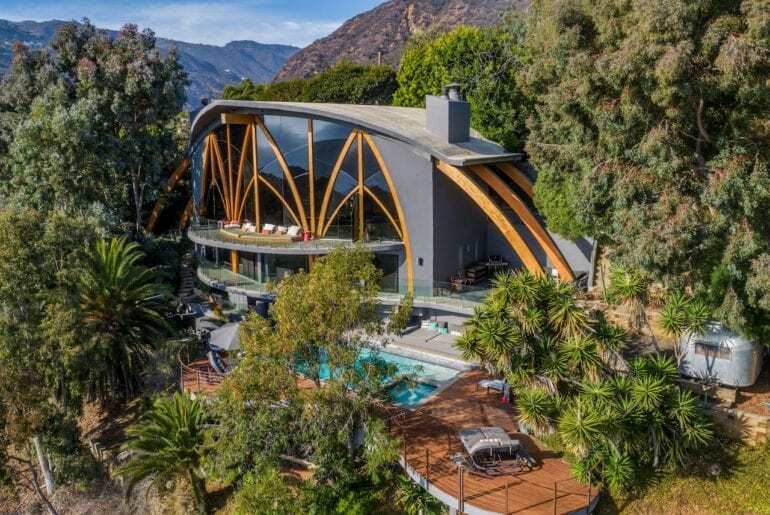 Though it has been restored since the 1959 Laurel Canyon Fire, this home still features hidden tunnels, caves, terraced gardens, and the deep-water tank where Houdini practiced his underwater escapes! If water tanks aren’t your body of water of choice, take a dip in the heated pool or unwind in the hot tub. This four bedroom, 4.5 bathroom home has three fireplaces to make your stay homey and welcoming. 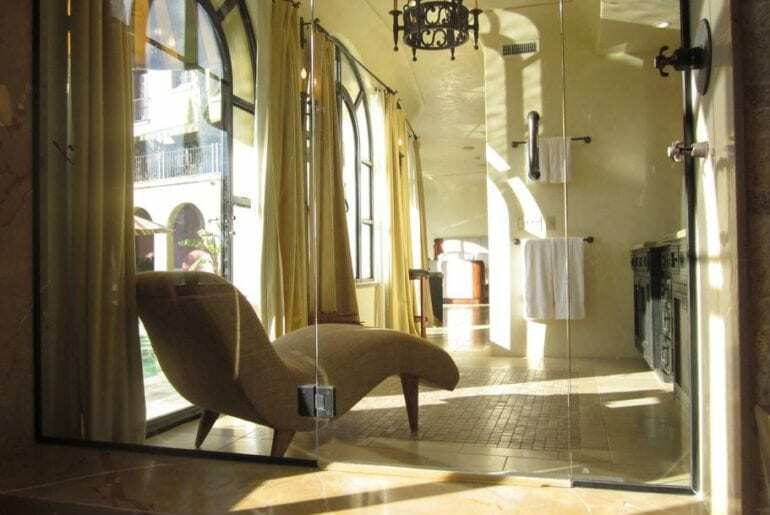 The master suite has its own spacious bathroom with a large bathtub and a stone mantle. The terraced gardens across the property are home to exotic plants, a rock waterfall, a pond, and over an hour of scenic hiking trails. 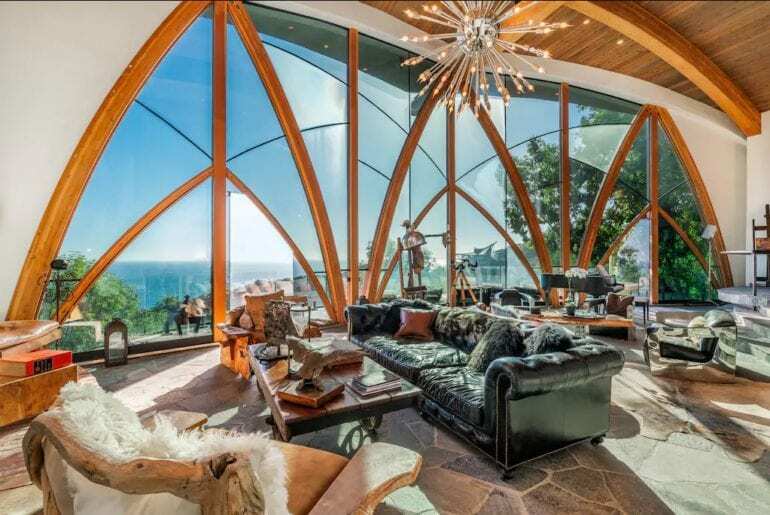 This Malibu home will leave you speechless. Designed by the acclaimed architect and environmentalist Harry Gesner, “Ravenseye” is an incredible fusion of gothic cathedral, Malibu beach house, and modernist minimalism. 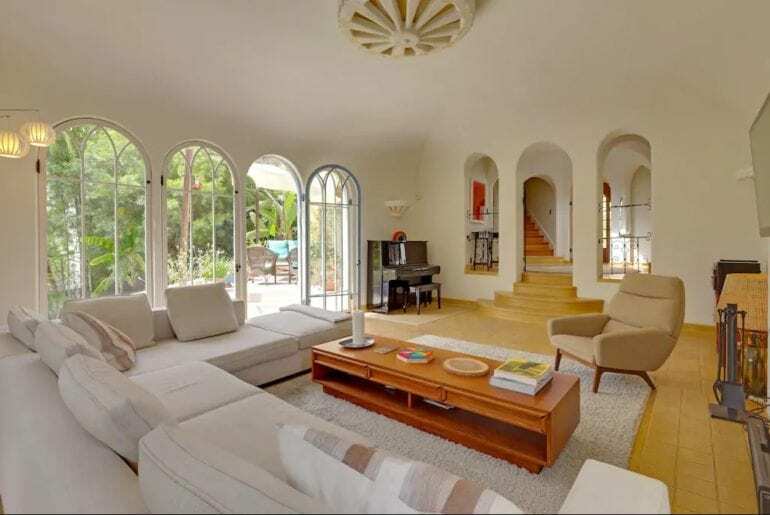 Located on a quiet hilltop overlooking the ocean, this home featured 30-foot vaulted ceilings and breathtaking arched windows and doorways. Surrounding this home is lush gardens, several VAST decks, and patios, along with a pool and spa. In one of the gardens, you will even find a 1957 Airstream trailer. With numerous outdoor lounging spaces, you can always find the perfect spot to catch the sunset or enjoy an evening cocktail. If you can tear yourself away from the jaw-dropping outdoor space, hang out inside and play a game of Fuzbol, practice your tunes on the Grand Piano, or soak in the giant Jacuzzi tub. The living space has an unbelievably bright and spacious feel with floor to ceiling windows and an open floor plan. The living room spills into a unique dining area and top-notch kitchen.